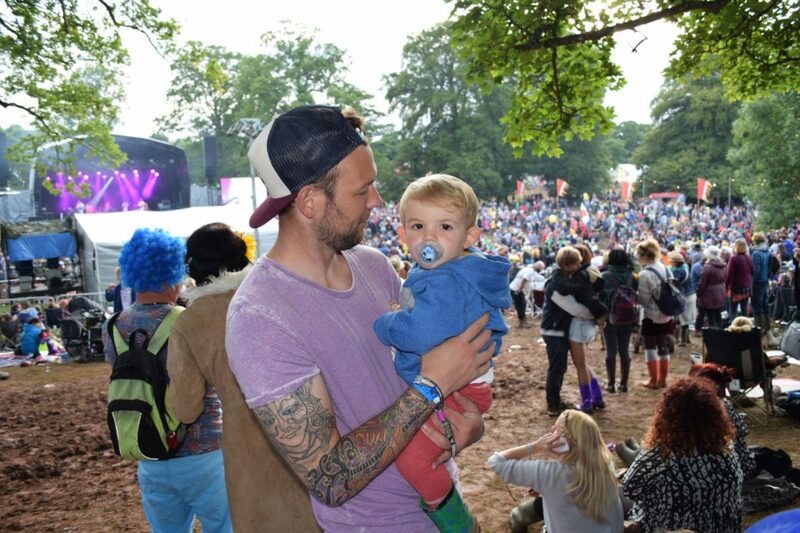 So, you’ve read part one of our taking kids to festivals guide and you’ve now carefully selected the perfect festival for you and your family. Well what next? Next, you need to think about what gear you need to take. In this second part, we’ll take you through accommodation options, sleeping arrangements and eating and drinking at festivals for you and your family. When most people think of festivals they think of tens of thousands of people congregated in a field somewhere in very close proximity, with only the paper thin nylon of a tent to separate you. And while for the vast majority of people this will ring true, there are other options available at most modern festivals. For us, camping at a festival with our family and friends is all part of the experience. We love to set up all together and form our own little outdoor community. So if you plan to use a tent and camp what do you need to look out for? Firstly, if you’re not planning on camping regularly there is no point in spending an obscene amount of money on the latest tent just to get it out once a year to take it to a music festival. That said, if you do plan on camping between festivals then something a little more durable and luxurious is probably ideal. One of your first considerations should be the size of the tent. Most tents have an indication of the number of people they’ll sleep in their name. However, taking kids is something all together different. Unlike a campsite, they can’t just go outside and explore in the morning. They will simply get lost amongst the thousands of other tents at festivals. So you’ll need some extra space to allow your kids to settle and play inside of the tent before you are ready to take them to the festival breakfast club or early morning family cinema showing. So size up. 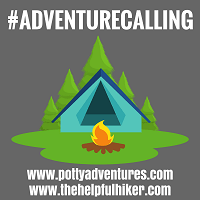 We have a bell tent (https://pottyadventures.wordpress.com/2016/03/13/dusky-deer-5m-bell-tent-review/) for all of our family camping for this very reason. The huge living space that we are afforded is ideal for entertaining, changing and dressing our two critters. And, as long as you select your festival campsite carefully, (we opt for the family field) you should have no worries about taking your nylon or canvas pride and joy. Just make sure your tent has a good waterproof rating. At the end of the day you don’t want to rock up for a 5 day festival and come back to your tent on day one to wet bags and belongings. In terms of gear to accompany the tent a footprint is always a good investment. This is because festival grounds can get notoriously muddy. Investing in an affordable footprint will not only prolong the life of your tent floor but will also make packing away and cleaning far easier. We also always take a cheap outdoor mat to leave at the entrance of the tent so that muddy wellies can be cleaned and left out before you get back into the tent, thus keeping the inside relatively clean. We also take our canopy so we have somewhere dry or shady to sit under, cook under and store things like the Potty Adventures wagon, which further extends the room the family has available to them. If, however, you’re one of the growing number of people who don’t wish to camp among the masses most major festivals now offer you a range of alternatives…at a price! From pre-erected and decorated bell tents and yurts, to wooden-style pods and mini chalets, you really can live it up with your family. Most of these have their own dedicated car parks, meaning you park much closer to your tent, and have dedicated toilets and food vendors. This, for a lot of people, takes a hell of a lot of the hassle out of festival camping but be warned…you will pay a premium for these luxuries. Festivals are great now in terms of welfare. Although we’ll do a whole post on welfare and safety very soon as part of this guide to festivals series, we’ll just add at this point that saying hello and getting to know the people who camp around you can be of great benefit. Firstly, it embraces that well loved festival spirit of enjoyment, happiness and community. But secondly, it’ll also mean that people will recognise who is supposed to be around which tent. As tents don’t have locks this really helps with campsite security. It also means that on a family site, where drunken tent wandering is far less common, you also have like-minded families keeping an eye out for young children in and around your area. Bonus. Ensuring a warm and comfortable nights sleep for your critters will be one of your top priorities. Again you have lots of options but most of these will be age dependent. For babies a travel cot is a good option unless you plan on co-sleeping. Even though they’re raised slightly off the floor, you’ll still want to make sure that you insulate underneath your baby as much possible. We use a Sleepyhead portable pod but a collection blankets underneath your child will also do the job. Our baby then sleeps in a Grobag. We always take two (in case of accidents) and at least one of those will be a winter one. Just take a few extra lightweight, fleece blankets as a precaution in case the temperature becomes unseasonably cold. For toddlers we suggest getting them their own junior airbed. We use a junior airbed with sides for our two year old to stop him rolling out when he’s dreaming about chocolate. Again, airbeds trap cold air so you’ll want to insulate them by putting blankets on top of the bed and underneath your critter. Ours then sleeps in a toddler specific sleeping bag (the Deuter Littlestar) which is both well insulated and expandable so it’ll last them a few years rather than a few months. However, not all toddlers take to sleeping bags so you may want to trial this at home and take a warm duvet as an alternative if all they want to do is wriggle out of it. A good tip is to take a bike puncture repair kit with you. These take up next to no space at all and should you be unfortunate enough to find yourself with an air bed that’s going down, it won’t ruin your trip. For older children foldable campbeds are a great option. They are affordable, light, easy to transport and provide a good, stable sleeping surface. You can then add a SIM (self inflating mattress) to the top of this to add some comfort and insulation. The other advantage of campbeds is that you are able to store bags etc. underneath them, further helping you to keep the tent somewhat tidy and organised for the duration of your festival. We sleep on the Outwell double Posada for this very reason. Plus by the time you’ve added a good quality SIM it’s pretty much as close to being at home as you’re likely to get. You’ll want to think carefully about your budget before you decide to do all of your feasting inside the festival arena itself. Although modern festivals offer a great range of food and drink outlets, some even with sit down style restaurants and real ale tents, they can be pricey if you plan on buying three meals a day there. We tend to opt for the happy medium of taking food to cook breakfast with, ingredients for at least a campsite family meal or BBQ (note: open fires are not permitted so disposable BBQs raised off the floor should be used) and then enough snacks to keep us and the critters happy throughout the day. The rest of the time we enjoy eating out at the festival, tasting offerings from all over the world. It really is part of the experience. First time festival goers are always very surprised at the range and quality of food available onsite. So, if you plan on doing any cooking yourself, the first thing you’ll need is a camp stove. These are mostly fueled by gas canisters or bottles and come in an array of shapes and sizes. Obviously, how often you plan to cook and the size of your family should be your guiding factor. Single burners are quick and very easy to transport if all you are planning to do is make a morning brew. But making a chilli con carne or camp curry for a family of four or more will present them with a considerable challenge. If, like us, you want to maybe cook family breakfasts yourself or the odd evening meal, then a double (or even triple) burner will be your best option. These allow you to cook with more than one pan at the same time meaning you’ll be able to conjure up something a little more appetising than super noodles for you and your crew. If you do opt for a larger stove you’ll also want to consider a folding camp table. These are light and easy to transport but more importantly they provide a stable surface raised off the ground and away from the tiny, inquisitive hands of young children. To accompany your chosen camp stove you’ll also need a pan/set of pans and kettle. Although cheap frying pans are available from supermarkets to fry your morning bacon and sausages, the advantage of camping pans is that the handles are removable and sets of pans all fit inside one another. This makes transporting them far easier. Add a do it all spatula and you’re ready to ready, steady, cook. If you are planning on doing a bit of cooking yourself (or just want to keep your beer/wine/cider cool) then a cool box is a must. Steer clear of cheap supermarket versions that are only good for picnics as they’ll stuggle to last beyond 24 hours if you’re lucky enough to have hot weather. Brands like Coleman and Igloo make some great coolboxes – ours for instance was still keeping things cool on day 5 during a hot summer camp last year. Just look out for what rating they give each box as that’ll give you an indication as to how long it will stop your milk from turning. A great tip is to cool the empty cool box the night before you fill it with either some spare ice packs that you’re not planning to take or a couple of bags of cheap ice cubes. This lowers the temperature of the box so that when you add your cool packs and food on the morning of departure it’s already up to speed. We use a range of freezable cool packs and also always freeze a 2L bottle of water to place right in the middle of the box. This ensures our food will last for days not hours. To help keep you hydrated and fill the kettle for that wake me up brew you’ll also want a water carrier. These come in both collapsible and solid designs and are great for having around camp. Water bottles (reusable for the sake of our planet) and hydration packs/Camelbaks are also great to take water and juice with you into the festival arenas. Just double check on the festival website as they may have a limit on the amount of liquid you can take into the stage areas from your campsite and please note most festivals don’t let you take any alcohol, although you are allowed to have it at the campsite. Thankfully! Finally, just ensure none of your drinks containers are glass as they will be confiscated on arrival for the safety of everyone onsite. If you are taking a baby like we are you’ll need to consider ways to sterilise their bottles. We take a travel steriliser and a pack of sterilising tablets which, as long as you are organised and plan bottles and washing times in advance, can make a potentially tricky thing quite simple. Lots of festival children’s areas have baby changing and bottle warming facilities so you needn’t worry about prepping their bottle during the day or night when you’re away from your tent either, which is a great relief to parents of very young critters. Ready made formula, although a little more expensive than the tub variety, is also a good, convenient option although we personally have a baby who doesn’t seem to like it! If, like us, you do opt for the tub variety don’t forget to take the miniature storage pots or some very small Tupperware to measure out each feed of powder otherwise you’ll end up carrying the tub round all day. A good tip is to boil your water on your camp stove before leaving the tent for the day. Fill a good quality flask with some of it before allowing the rest to cool and placing it in baby bottles. This means when they need that urgent feed you have hot water immediately available in the flask to just top up the bottle and bring it to a nice warm temperature. As with all of your eating and drinking exploits you’ll just want to make sure you have a ready supply of anti-bacterial hand gel available to keep you and your family hygienic. As ever, if you have any comments or specific questions do get in touch with us in the comments section below. In the next part of this series we’ll be looking at how to transport you and your critters around the festival site and some of the other gear you might want to consider taking. Wow, what a fabulous insight into taking children to festivals!! With some really great tips!! I’ve only ever been to one music festival, and that was the fairly sedate Harvest Festival, and that was before I had children!! We do a lot of camping though, so a lot of these fab tips are transferable for standard camping!! I didn’t think about insulation for travel cots and camp beds-that’s something I need to remember when we next go. I had no idea that festivals offered family camping fields, or luxury accommodation, or a lot of the facilities you mentioned!! Such an eye opener for me! I think I should brave taking our children to one…! Thanks for sharing with #bigpinklink! Always nice to meet a fellow family camper 😄. I’m glad you found the post useful. Thanks for reading and yes, definitely brave a festival yourself. Thank you. Ah we absolutely love our bell tent. Somewhere on our blog there’s a review and guide to buying one. I’ll dig it out and tweet you the link. They are fantastic for families.